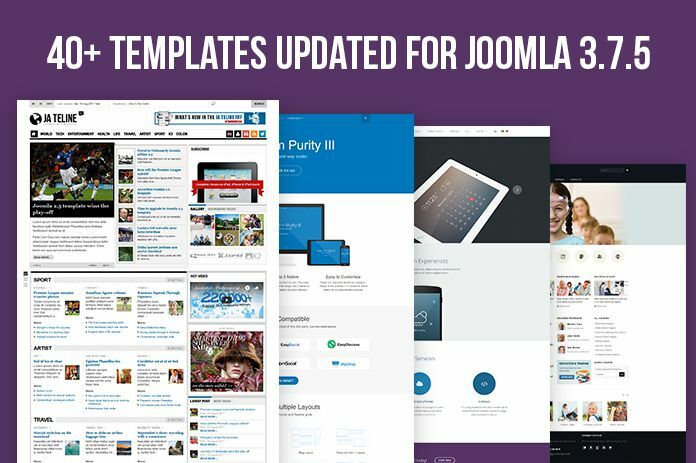 JoomlArt continues to upgrade our Joomla templates for the latest version. 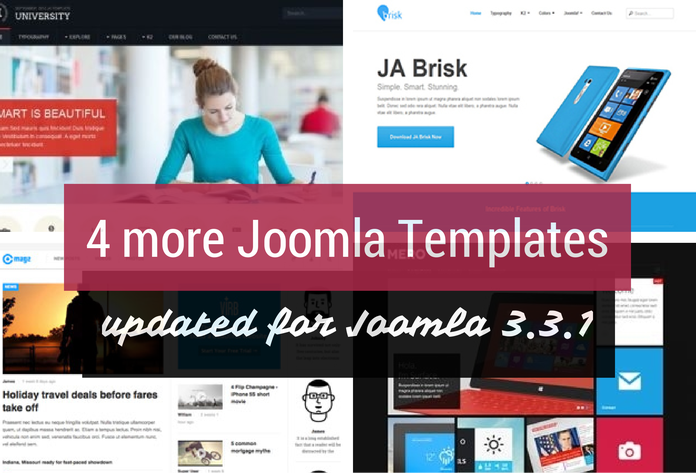 JA Appolio, JA Bookshop, and JA Obelisk are now updated for Joomla 3.3.1. 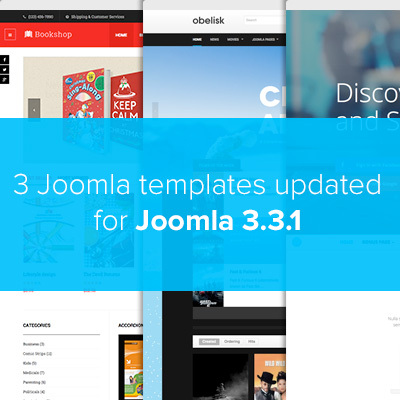 JoomlArt upgrade process continues, JA Social, JA Sugite, and JA Biz are now updated for Joomla 3.3.1. Two Joomla extensions JA Slideshow and JA Top panel module are updated accordingly. 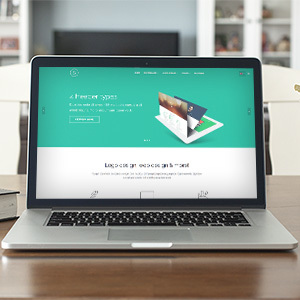 Joomlart continues upgrading our Joomla templates for the latest version of Joomla. 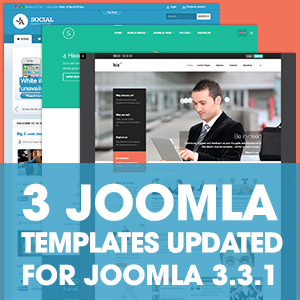 Three more templates are now updated for Joomla 3.3.1 and Joomla 2.5.22 are JA Decor, JA Beranis, JA and Fubix. Along with this batch, 3 extensions are updated accordingly. 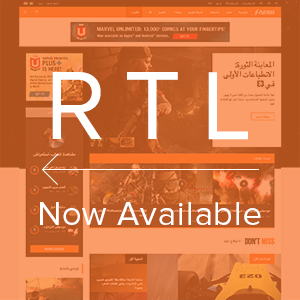 Responsive Joomla template for Online Gaming Magazines - JA Playmag v1.1.0 is released with supported RTL layouts, and minor bug fixes. As part of JoomlArt upgrade process, JA University, JA Magz, JA Brisk and JA Mero 4 are now updated for Joomla 3.3.1 and Joomla 2.5.2. Also updated are 3 of the Joomla extensions. 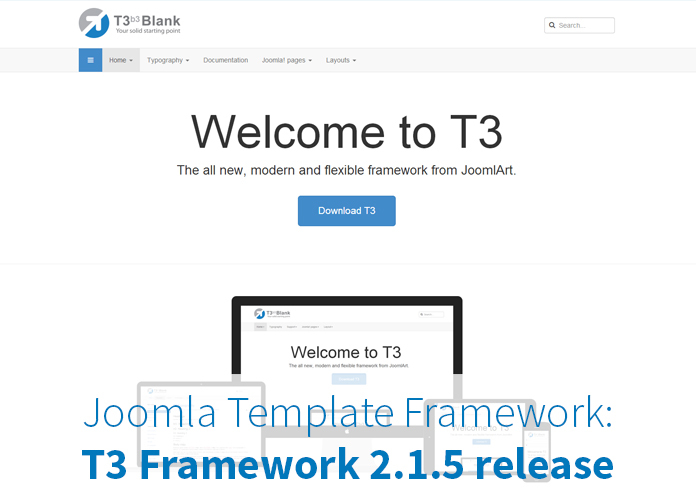 Glad to inform that our Joomla template framework for Joomla 2.5 and Joomla 3 - T3 Framework has been updated to its latest version 2.3.0 with new feature, improvements and bugs fixes. In T3 framework version 2.3.0, we roll out new feature that helps you keep your template settings and configuration intact even when you upgrade for a new version. In short, this feature will make your template settings and customization stay the same when upgrading your site. 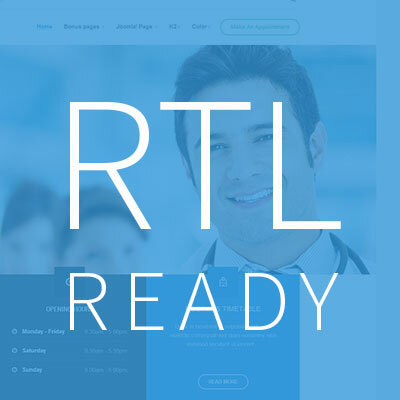 Today, the responsive Joomla teamplate - JA Medicare has been released with RTL layout along with the integration of Disqus comment in blog section, and minor bug fixes. 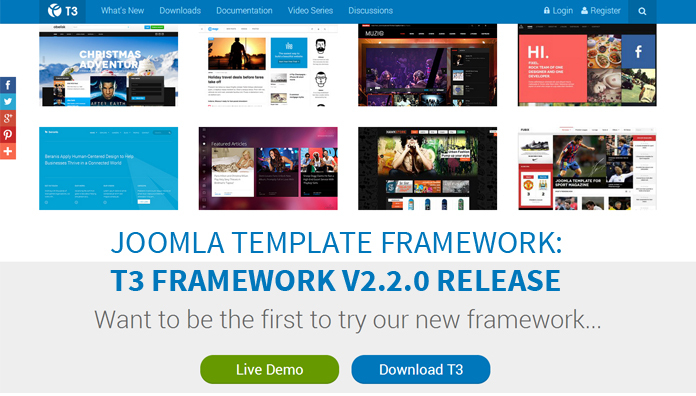 Joomla template framework for Joomla 2.5 and Joomla 3 - T3 Framework has been upgraded to its latest version 2.2.1 with improvement and bugs fixes. 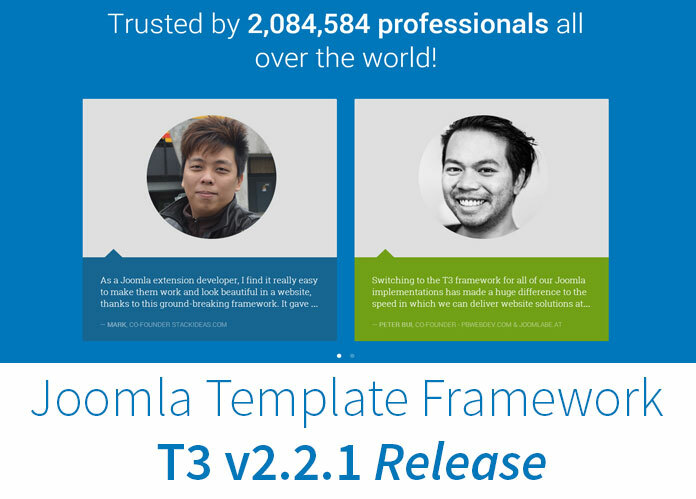 We have improved the performance in development mode for this T3 Framework version 2.2.1. Joomla template framework for Joomla 2.5 and Joomla 3 - T3 Framework v2.2.0 has been released with new features, various bug fixes and improvements. As promised, the responsive Joomla template - JA Sugite’s RTL language layout version is shipped out today along with an extra bonus page: Featured Intro page as well as JA Sugite is now upgraded for latest Joomla version 3.3 apart from some bug fixes. 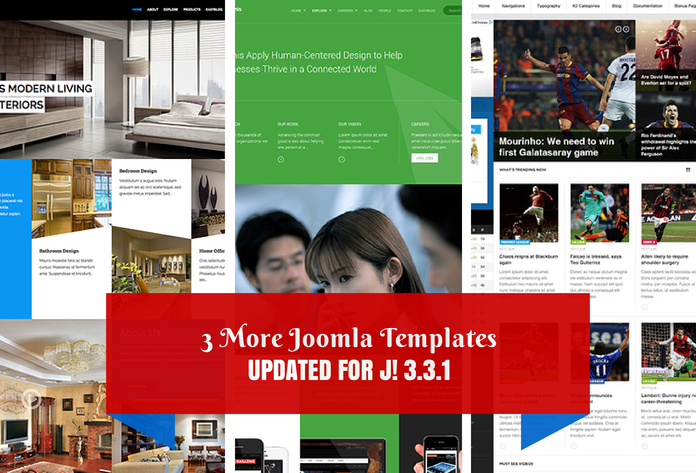 Joomla template framework for Joomla 2.5 and Joomla 3 - T3 Framework v2.1.6 has been released with bug fixes and improvement. 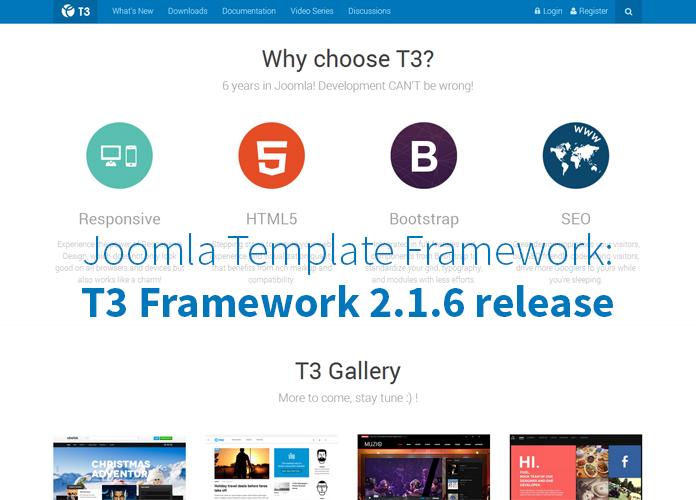 Joomla template framework for Joomla 2.5 and Joomla 3 - T3 Framework has been upgraded to its latest version 2.1.5 with minor bug fix.